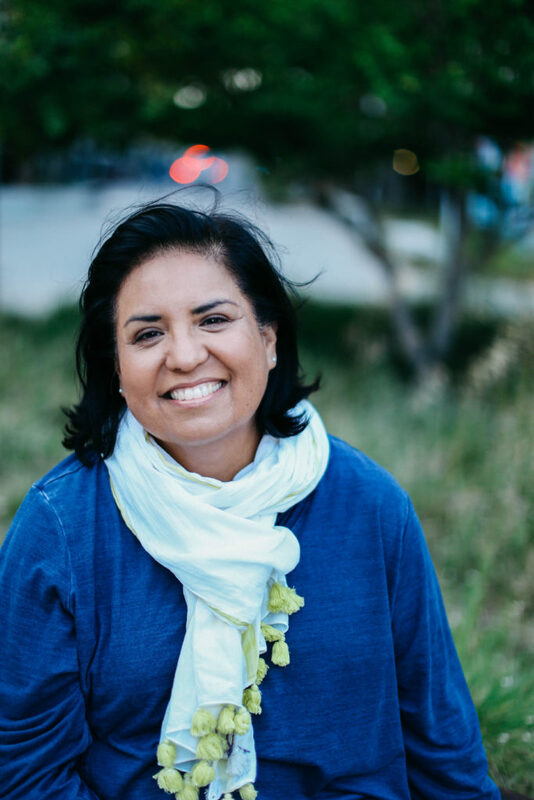 Meet Rebecca Hernandez: artist, scholar, educator, and newest member of our Board of Directors. Rebecca has served as Director of the UCSC American Indian Resource Center since 2014, and brings a wealth of experience in having guided and worked with museums and universities throughout her career. We’re delighted to have her join our team! A nascent admirer of the natural world, Rebecca was not always a fan of trekking around the outdoors. She grew up in Los Angeles, an asthmatic child hesitantly playing in a schoolyard set beside a traffic-clogged freeway. “I associated being outdoors with being uncomfortable, nervous and worried,” she says. But, after succumbing to the charms of California landscapes and pushing herself to explore the natural world, she’s now an avid walker and budding naturalist. Whether hiking the trails in the Fort Ord Natural Reserve or simply walking near her home, she loves to watch seasonal changes in flora and fauna, and now seeks to help others find the same joys. After earning a B.F.A. in painting from the College of Santa Fe, New Mexico, she pursued her M.F.A. in exhibition design and museum studies at California State University Fullerton, followed by her M.A. in American Indian studies at the University of California, Los Angeles, and a Ph.D. in American Studies at the University of New Mexico. In the past, she has helped guide the Museum’s educational efforts in sharing Native American history.